3.1 What is a Heat Pump? 3.3 Now, what are Furnaces? With the exception of a couple of alternatives, there are generally two kinds of heating systems from which to choose: Furnaces or heat pumps. No matter whether you reside in a mild or a frigid clime, deciding on the type of heating system for your home can nonetheless be challenging. To make it a bit smoother, this article will explore the pros and cons of both and, ideally, resolve the heat pump vs furnace dilemma. Arguably, the first step in determining the answer to this question is by considering where in the country you live. For example, heat pumps are best designed for regions in which mild winters are the norm. They are well suited for coastal areas, particularly in the Gulf States. On the other hand, furnaces enable homeowners to endure even the most challenging of winter weather. Again, heat pumps are essentially air conditioners that work in reverse to provide warmth for the home. Unlike a furnace that creates heat at the source via a flame, a heat pump moves heat from one location to another. Simply put, during the warmer months, a heat pump will move heat from your home to the outside. In the colder months, the process is reversed and heat is transferred from the outdoors to your home’s interior. 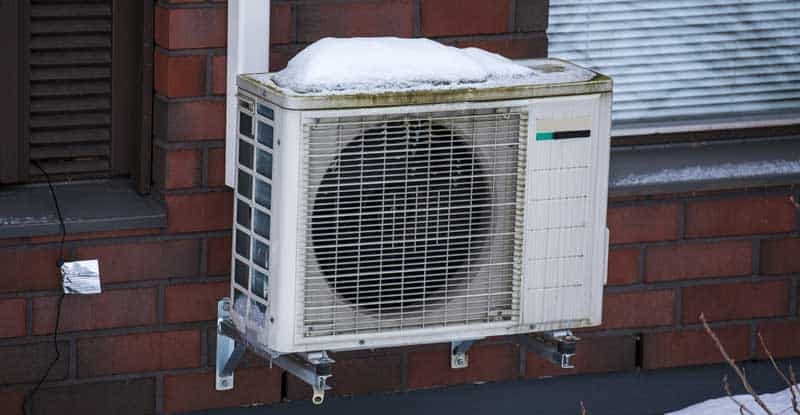 Heat pumps are beneficial in that they function efficiently year-round, which means that a single outlay of one’s hard-earned funds takes care of all a home’s interior environmental comfort needs while assisting in the lowering of both heating and cooling bills. They can also satisfy one’s desire to be “green” by putting out up to three times more heat than the energy consumed. As also previously mentioned, there is the issue with heat pumps of sometimes needing a backup heating source. When one experiences extra cold nights, an additional heat source (such as a small furnace) may be needed. Arguably, the most common kind of home heating is that which is provided by natural gas furnaces, creating heat via the burning of the gas. The heat produced from forced air furnaces is then pushed out through registers situated throughout the home. The good news here is that a furnace is less costly than a heat pump, though one will still need to fork out the money for an air conditioner separately so as to enjoy interior cooling when the weather gets hot. However, a furnace will always work, even on the chilliest of nights with no backup heat source being required. And, in this day and age, even furnaces have attained high levels of energy efficiency. Keep in mind that buying the latest in furnace technology can save a homeowner serious money over older models. At the end of the day, the decision of either a furnace or a heat pump boils down to the climate in which you reside, how expensive it is to use electricity and gas and the kind of heating method that you fancy. Prior to getting into the heat pump vs furnace debate directly, let’s first define what they each are and how they operate. Essentially, a heat pump is like a reverse air conditioner that, as opposed to cooling, rather heats your home. In the heat pump’s case, it utilizes the same methodology to increase the temperature (rather than decreasing it). In other words, a heat pump is an air conditioner, but an air conditioner is, obviously, not always a heat pump, despite the fact that mechanically they are the same. Heat pumps actually move in air from the outside, rather than boosting a home’s temperature utilizing a flame, like a furnace does. There’s an outdoor compressor, like all typical central A/C systems, that is comprised of copper tubing along with aluminum fins that work together in drawing in the air and compressing it. Next a chemical agent works to evaporate the compressed and now heated air and transforms it into a gas; it then moves it to a coil inside the home where it is condensed back into liquid form and distributed throughout the home. Heat pumps are best used in more mild climates where one can be afforded the use of electricity at a lower cost- this can make a heat pump a viable alternative to a fuel-fired furnace. 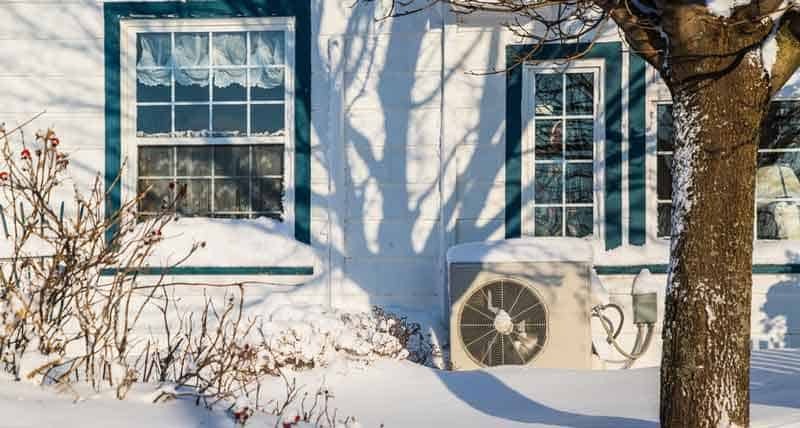 Where temperatures regularly fall under 40 degrees (Fahrenheit), compressing heat from the exterior air, as heat pumps do, can be problematic. Keep in mind, though, that there is an optional component that works in conjunction with either the electric or gas resistance coils that can help make the heat pump function better. Simply put, it’s a miniature furnace that boosts the heat pump’s efficiency. A furnace forces air into the home that is heated by a flame, normally (but not always) using a fan to push warmth through ducting and out a litany of vents that are strategically placed throughout the dwelling. It is wise to consider replacing older model furnaces, regardless of the heat pump vs furnace debate, as they can be grossly inefficient. Keep in mind that newer models can be vastly more environmentally and economically friendly, boasting an eye-popping efficiency of up to 98%. This kind of home heating method depends on a fluid medium, normally air but sometimes steam or hot water, to distribute the warmth. 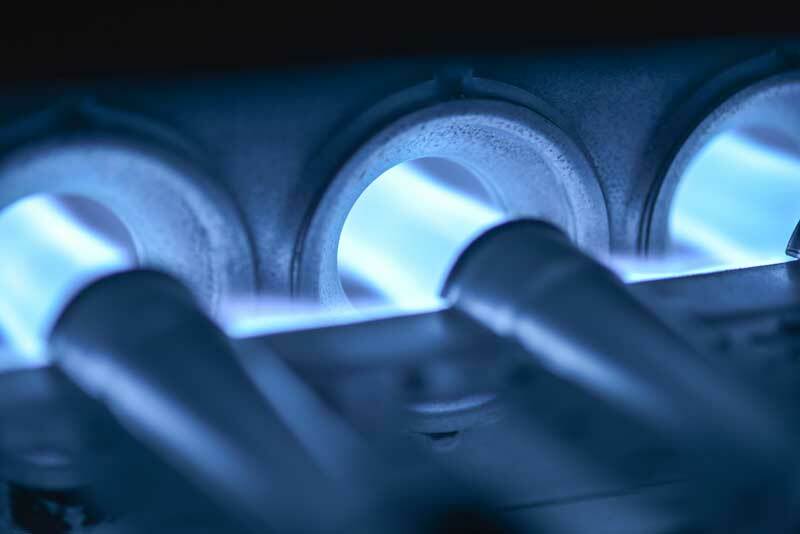 There is a myriad of types of furnaces, such as gas, oil, and electric, but they are distinguished from heat pumps in that they burn a fuel (or use electricity) to directly heat the air inside the home. The “Annual Fuel Utilization Efficiency” (AFUE) rating is used to determine the efficiency of furnaces and heat pumps. All heaters, whether gas or oil fueled, are measured using AFUE. It’s an objective method of comparison and is measured as a percentage. The higher the AFUE percentage, the more efficient is the furnace or heat pump. SEER is an acronym meaning “Seasonal Energy Efficiency Ratio” and is the way in which to measure the efficiency of air conditioners and heat pumps throughout the year. (The higher the SEER value, the more efficient the appliance.) It’s not a perfect way to measure efficiency in the real world because it is determined in the laboratory where the environment is controlled. Understand that, like the old EPA gas mileage standard, the efficiency claims can be overblown. The scale is ranked currently between SEER 7 and SEER 21 to 25 (depending on the highest SEER rated air conditioner available on the market at any given time). The heat pump vs. furnace dilemma can be tricky for those in the market for a good home heating system. Now, armed with knowledge, you can make an informed decision. Basically, if you brave frigid and snow-filled winters, perhaps decide upon a furnace. If you’re living in a mild climate, like Southern California or Florida, then a heat pump might be the way to go. Now, it’s in your hands. Good Luck!